In addition to books on each of the countries of Britain, and in some cases their regions, we offer books on specific aspects and areas of interest. These include castles and stately homes, famous gardens, and flora and fauna. This book, in addition to its coverage of architecture, links into many other themes as it presents the enormous diversity of properties now in the care of the National Trust. The National Trust cares for a wealth of houses and historic buildings of all types, ranging from the grand to the quirky to the humble. This captivating book, fully revised and updated for 2013 and featuring more houses than ever before, is a guide to some of the greatest architectural treasures of Britain, encompassing both interior and exterior design. The houses covered include spectacular mansions such as Petworth House and Waddesdon Manor, and more lowly dwellings such as the Birmingham Back to Backs and estate villages like Blaise Hamlet, near Bristol. 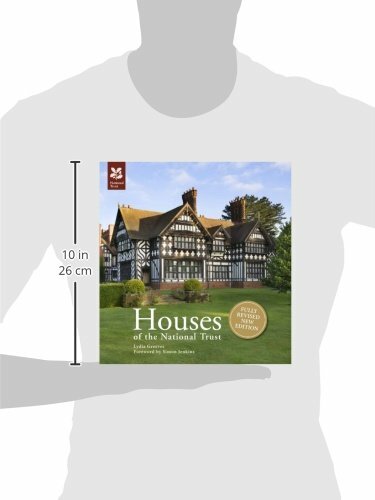 In addition to houses, the book also covers fascinating buildings as diverse as churches, windmills, dovecotes, castles, follies, barns and even pubs. The book also acts as an overview of the country's architectural history, with every period covered: the medieval stronghold of Bodiam Castle, Tudor eccentricity in Hardwick Hall, 18th-century grandeur at Kedleston Hall, Victorian fantasy at Tyntesfield, and the clean-lined Modernism of The Homewood.The book teems with stories of the people who lived and worked in these buildings: wealthy collectors (Charles Wade at Snowshill), captains of industry (William Armstrong at Cragside), prime ministers (Winston Churchill at Chartwell) and pop stars (John Lennon at Mendips). 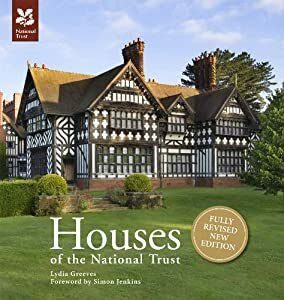 Written in evocative, imaginative prose and illustrated with glorious images from the National Trust's photographic library, this book is an essential guide to the built heritage of England, Wales and Northern Ireland.